Promote and expand NAEYC Accreditation across all early childhood education programs in Arizona. Celebrate and support accredited centers in their work to maintain high quality and foster children’s development of positive social identities. Develop and implement efforts to support developmentally appropriate practice across all early childhood age groups and in related policy work. Promote national and state policies related to equitable access to high quality. Participate as a leader in promoting NAEYC resources regarding high quality early learning. Promote teaching practices, curricula, and learning environments that are developmentally, culturally, and linguistically appropriate for each child. GOAL: The early childhood profession exemplifies excellence and is recognized as vital and performing a critical role in society. Participate as a leader in the professional preparation and development efforts in Arizona, including Career and Technical Education Programs, Institutes of Higher Education, and the professional development system. Participate in the NAEYC Public Policy Forum. 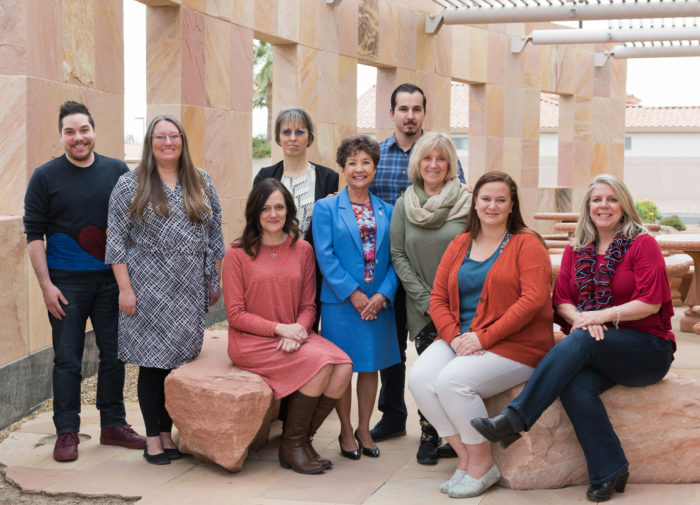 Promote and support NAEYC’s Higher Education Accreditation within the higher education community in Arizona. Promote and support NAEYC’s Power to the Profession and America for Early Ed Initiatives. Work to embed anti-bias approaches in all aspects of early childhood programs delivery, including standards, assessment and curriculum. Take proactive steps to recruit and retain educators and leaders that meet professional expectations and reflect the diversity of children and families served. GOAL: AzAEYC is a highly valued, credible, and visible membership organization and systems partner. Promote AzAEYC as a trusted and productive collaborator and partner in early childhood education efforts in Arizona. Develop a strong chapter network statewide to support members. Cultivate leadership capacity within our affiliate chapters. Develop innovative and proactive membership recruitment, engagement, satisfaction, and retention projects at the state and local levels. Promote the use of NAEYC resources. Establish collaborative relationships with other agencies and institutions within the community that empower and give voice to diverse perspectives. Work collaboratively with social justice allies to challenge and change policies, laws, systems, and institutional practices to promote diversity and equity in the early childhood field. GOAL: AzAEYC reflects excellence in all aspects of organizational health and vitality and functions as a high performing inclusive organization. Work with affiliate chapters and membership hubs to best serve the needs of Arizona. Strength the board leadership as a high performing, inclusive nonprofit organization. Increase organizational capacity (assets and resources) by seeking and implementing grants/projects that serve members. Maintain a staffing (bookkeeper, executive director) plan that aligns with the structure decisions within the state. Implement intentional planning related to board composition that reflect the diversity of the members/workforce and moves the organization forward in the local, state and national systems. Increase organizational capacity (assets and resources) by developing partnerships and implementing fundraising strategies. GOAL: AzAEYC cultivates leadership and incubates innovation strategies that propel the workforce, profession, and systems of early learning. Recognize and celebrate uniqueness and excellence in our profession. Cultivate leadership development opportunities in Arizona. Develop and strengthen relationships with professional preparation programs to promote the profession and support the field. Pursue opportunities for innovative projects that fit the mission and forward moving direction of AzAEYC. Fully implement the Rhian Evans Allvin and Joshua J. Allen Scholarship program. Participate in the NAEYC Professional Learning Institute. Establish collaborative relationships within the community that empower and give voice to diverse perspectives to strengthen the web of support available to children and families. Design programs that are responsive to diversity and address the needs of the early childhood workforce and attend to multiple social identities and contexts, such as culture, language, race, ethnicity, prior educational experience, employment status, social and economic status, etc.